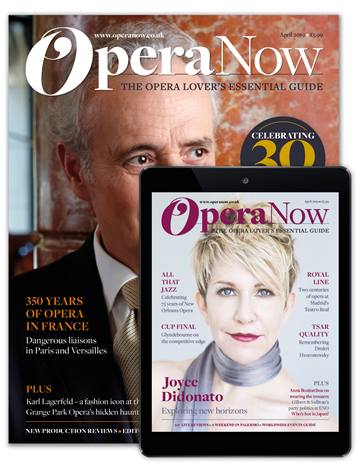 Save 15% on the new-look Opera Now! To celebrate its 30th anniversary, Opera Now is delighted to offer Grange Park Opera visitors a 15% discount on its new-look magazine. Now published monthly, each issue showcases the creative spirit of opera on stage and behind the scenes with profiles of singers, directors and designers. To claim your discount please use promo code GPO19 at the checkout.